Nifty has been under pressure in late afternoon session. 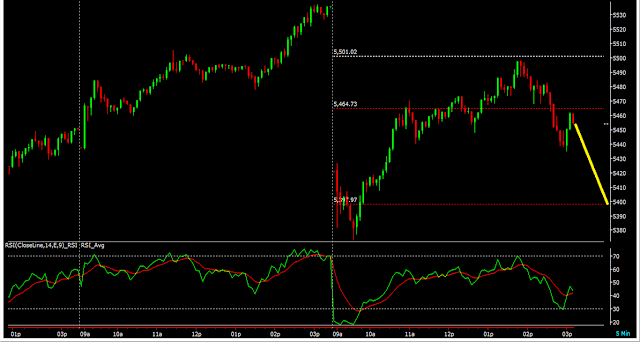 Positional Traders can hold short in Nifty with SL @ 5500. One can also build fresh short 50% today and remaining tomorrow. It would be good for the bears if markets close below 5434.